Sigma Designs for the US Navy. To support the development of improved US Navy shipboard desalination systems, several filtration devices were selected for evaluation and testing. In order to complete the evaluation a portable filtration test system was required. 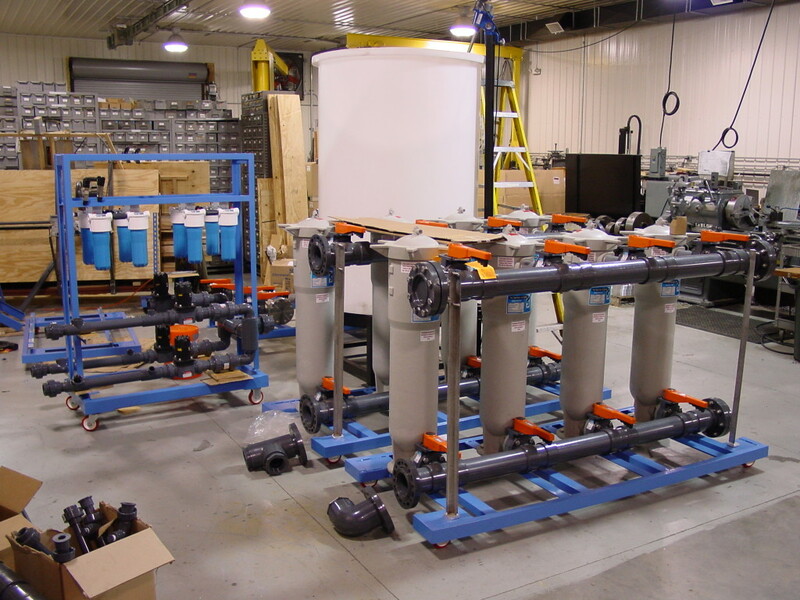 It included a contaminate injection system, contaminate mixing tank, seawater supply pump, filtrate headers with baseline filters for comparison, backwash/underflow headers, backwash/underflow cleanup filters, all piping, sample lines, valves, hoses, couplings, filtration component foundations, flow meters, and thermometers. Phase 1 of the testing evaluated and ranked the filtration components in a controlled laboratory environment. Phase II was an endurance-type test performed on filtration components at selected coastal sites. Sigma was able to then give the test results to the US Navy, which provided essential data for the program. Sigma is also the manufacturer of the sysytem. Water Purification System Development, Testing Protocol, Detail Design, Controls, Sensors, Electronics, Welding Services, Machining and Fabrication, Validation and Testing.